Reserve Bank of Australia cut its interest rates by 25 basis points to 2.0%, to provide further stimulus to the economy. Meanwhile Australia's trade balance has stayed in deficit of $1.3B. AUDUSD rose to 0.7900 following the rate cut, amid speculation that the RBA may be unwilling to cut further. The Australian dollar has declined against US dollar over the past year, due to the falling commodity prices. EURUSD is trading lower at 1.1110 ahead Of the European Commission Economic Growth forecast due today. 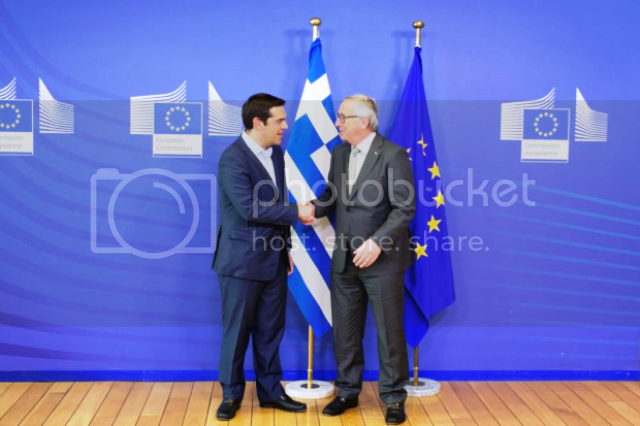 Greek negotiations continue this week and a deal can be achieved by the Euro group meeting on 11 May, with Greece having to repay €763 million in loans to the IMF. The U.K. election polls show both major parties Conservatives and Labour as being head-to-head arriving at overall majority is unlikely. GBPUSD remains under pressure at 1.5105 before polls and uncertain UK election. New Zealand Unemployment rate remains flat at 5.8 percent, while Employment growth slowed to 0.7%. Kiwi has been under some pressure after Reserve Bank of New Zealand signaled easing bias last month. In the Asian trading session NZD/USD fell to 0.7480 after weaker than expected employment data. EURUSD is trading higher at 1.1230 ahead Of the Euro-Zone's Retail Sales Data. Greek debt talks with international creditors are making progress but no breakthrough yet. U.S. trade deficit soared to $51.37 billion in March to its highest level. USD ISM Non-Manufacturing PMI rose to a five-month high of 57.8 in April. Crude Oil futures surged on NYMEX, WTI to $60 a barrel amid geopolitical tensions in Northern Africa and the Middle East. Gold is trading higher at 1195.10 after broad decline in the global equity markets, with fresh demands for the safe-haven. German Bunds yields are at the highest after European Central Bank announced its intention to launch QE. EURUSD is trading higher at 1.1343 ahead of the Germany's construction PMI data and the US initial jobless claims data. UK goes to the polls today and it is still uncertain if we will get a hung Parliament in the UK. GBPUSD is in the range of 1.5240 and traders expect heavy market volatility ahead of the Elections. Australia's unemployment rate climbed to 6.2% as expected with a loss of 2.9K jobs. AUDUSD peaked to 0.8000 after the jobs report. Australian bond yields rose further on Wednesday morning to above 2.8 per cent after the RBA decision. In UK General Elections Exit Polls Predict a Conservative Win and that the Britain’s Prime Minister, David Cameron would retain his power. GBPUSD spiked 2.1% to cross 1.5430 yesterday and to 1.5500 in the Asian trading session. Apart from the outcome of the UK elections, Britain’s trade data for March coming out today will reflect the health of the UK economy. EURUSD is trading lower at 1.1198 ahead of Economic Data from Germany and US non-farm payrolls data. USD Non-farm Payrolls forecast is 228K for the month of April. Meanwhile the ongoing Greek debt negotiations continue to affect the Euro. The US Dollar bounced off a three-month low on stronger than expected initial jobless claims data. German industrial production fell last month to an annual rate of -0.5%, from 0.2% in the preceding month, while Germany’s Trade Balance fell to 19.3B, from 20.0B in the preceding month. The Reserve Bank of Australia cuts GDP Growth Forecast for the Australian economy to 2-3% and expects the Australian dollar to fall further. Chinese Trade Balance rose to 34.13B, from 3.08B in the preceding month which was less than expected. US Non-Farm Payrolls rose by 223K in April which was just below market expectations for a 230,000 increase. The unemployment rate was down to 5.4% and Participation Rate was at 62.8%. 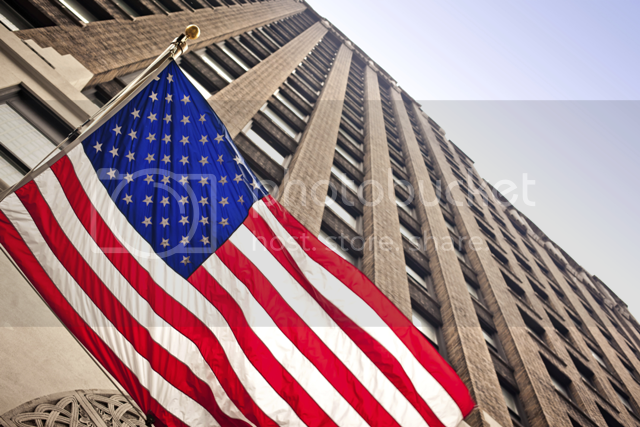 Following the NFP USD remained strong as the unemployment rate in the US plunged to a 7-year low. EURUSD is trading lower in the Asian trading session at 1.1155 ahead of the Euro group Finance Ministers meeting in Brussels today. The People’s Bank of China lowered interest rates to 5.1% as inflation figures fell short of expectations. Asian markets are up after the PBOC cut its interest rates and a strong US NFP report on Friday. Bank of England will announce its monetary policy decisions today with main focus on the quarterly inflation report. In Canada Jobs report came with a loss of 19.7K jobs while the unemployment rate is at 6.8%. WTI futures dropped to $59.22 per barrel on Monday on account of strong US dollar. 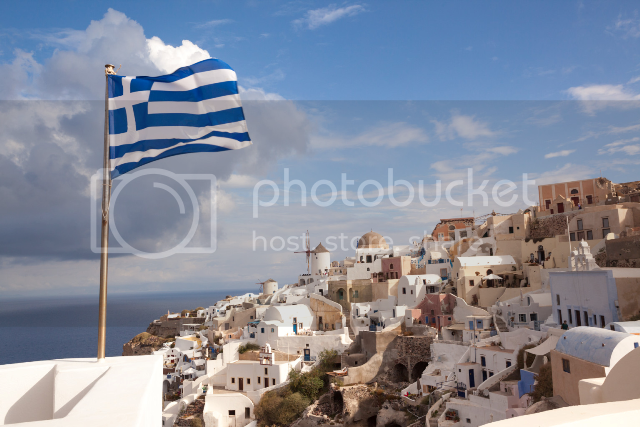 On Monday Eurozone finance ministers confirmed that there has been progress in talks between Athens and its creditors but more work needs to be done over the next few days. Greece said on Monday it repaid IMF €750 million, €1.5 billion payment is due in June and a further €3 billion to the ECB in July. As the Greece situation continues Euro came under pressure and remains vulnerable to further downside risks. In Australia, March housing finance data rose 1.6%, and as a result AUDUSD is trading above 0.7900, meanwhile Australia's business confidence remained unchanged in April. The yield on the US 10-year is at 2.27%, Australia's 10-yr is yield is at 3% and Japan's 10-year yield is at 0.4%. Japan's Nikkei is down 0.6 percent, amid concerns of volatility in bond markets. Bank of England kept its interest rate unchanged at 0.5% in April and kept the size of its asset-purchases at 375 billion pounds. A sharp sell-off in government bonds is dragging major global Indices lower. The global Bond sell off has left many investors nervous with FTSE100, S&P 500 and Nasdaq100 ending in red. 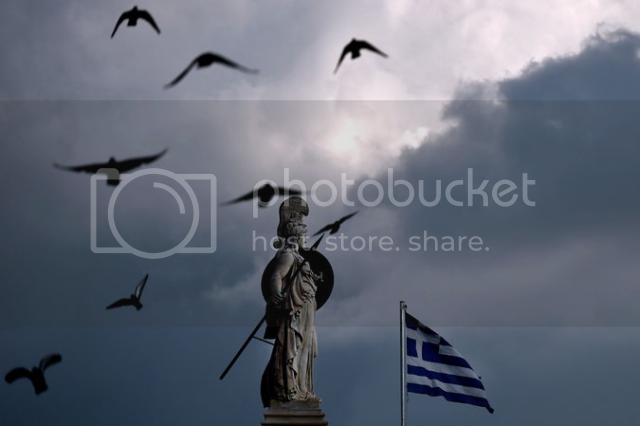 After Greece paid 750 million euros to the IMF on Monday, its financial condition remains weak. Following the news Euro rose more than 100 pips to cross 1.1260 yesterday. In Australia wage price index fell to 0.5% AUDUSD is high on Australian yields and that the home loans approval rose to 1.6% in March. WTI Crude Oil rose to 60.75 amid Bond selloff and the news that Saudi has launched airstrike on Yemen again. 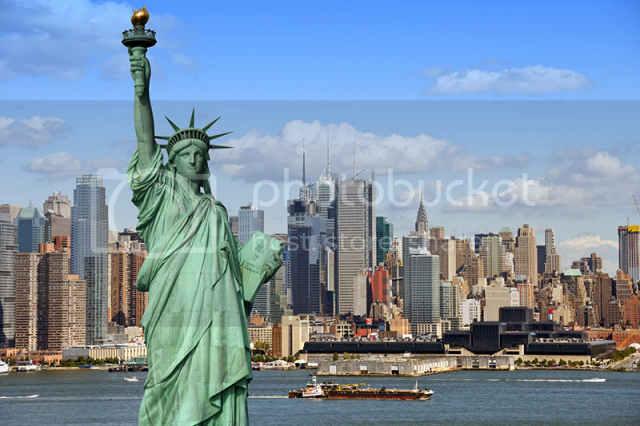 US Retail sales remained flat in April, while expectations were of a 0.2% growth. Weak retail sales hint trouble in the US Economy and that the US consumers were reluctant to spend. Data coming out of Greece shows that it went into a recession during the first quarter of the year, with problems of unemployment, deflation, and political uncertainty. 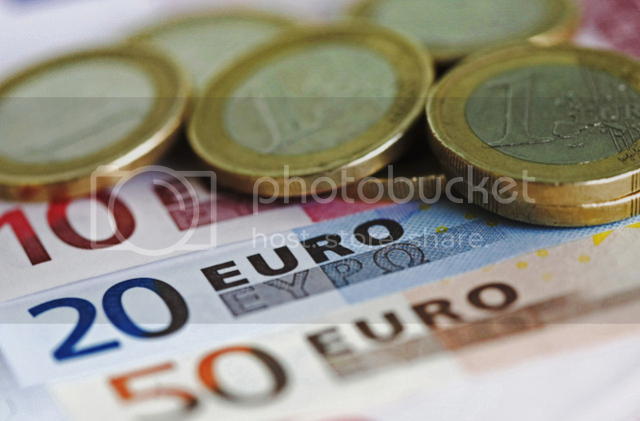 The Euro zone's economic output climbed to 0.4% in the first quarter of 2015. This reflects the Euro zone's efforts to recover from the debt crisis amid stimulus provided by the European Central Bank. In Germany GDP growth for first quarter of 2015 was 0.3% while analyst expected a 0.5% growth. NYMEX Crude Oil is weak in Asia at 60.15$ a barrel on strong production outlook. US unemployment claims unexpectedly dropped to 264,000 which reflect that the labor market condition is strong. 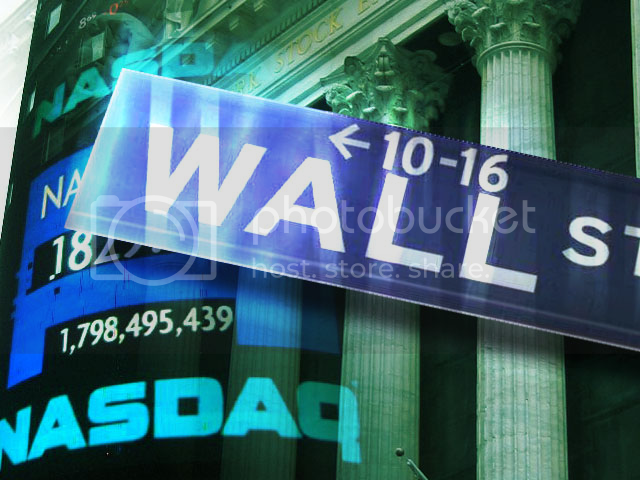 Following the news Stock markets surged and ended in Green, while Euro pulled away from its 3 month peak. European Central Bank president, Mario Draghi said that QE will remain in place and ECB will continue its monthly 60 billion euro bond buying programme. In Greece there is a potential risk that it will default on its debt which could create panic in the currency markets. 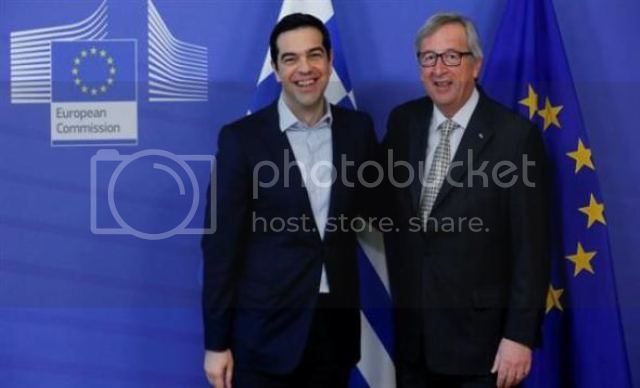 Meanwhile talks about the €7.2 billion bailout funds that Greece needs will continue today. In Canada new home prices remain unchanged in March while sales of existing homes surged 4.1%. Bank of Japan Governor Haruhiko Kuroda said the underlying trend in inflation has improved steadily and saw no need for further easing now. Crude Oil is down in Asia at 60.50$ amid news that IEA expects Oil supply to remain High. US Economy faces reduced production and employment from lower oil prices, falling exports, and rising imports from a stronger dollar. US Industrial production fell 0.3% in April for a fifth month pushing down the dollar and U.S. bond yields. Asian markets are down on Monday and US Dollar stays weak amid a basket of major currencies after weak signs from the US Economy. Globally investors are concerned over the weakness of the US economy, slowdown in China and problems in the Eurozone. Rise in the Euro zone debt yields is supporting the EURUSD which is trading above 1.1400 in the Asian trading session. In Japan Industrial production fell to -0.8% while analyst expectations were at -0.3% for the month of April. In Canada manufacturing sales climbed to 2.9% in March which was above the market expectations of a 1.0% gain. Crude Oil is higher trading above 61.30$ amid news of conflicts in Yemen and Iraq. 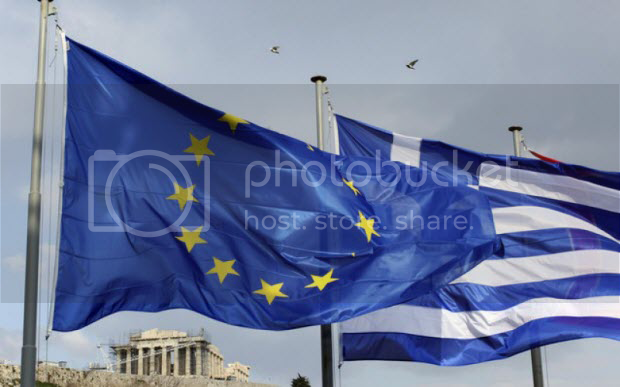 Asian markets are down on renewed concerns over Greece and Euro remains under pressure trading below 1.1300 Investors fear of a Greek bankruptcy as the Greek Prime Minister Alexi Tsipras said the country is running out of funds. Greek Finance minister said on Monday that it is getting closer to a deal with its lenders that would help it meet debt repayments next month. The possibility of a Greek default or exit from the Eurozone can cause big intraday swings and High volatility in the coming weeks. Eurozone is due to release German ZEW Economic sentiment and Euro-Zone CPI today, while UK will release its Consumer Price Index and Retail Price Index. The Australian dollar sank after the Reserve Bank of Australia released minutes showing the board continued to see it as too strong given the current economic conditions. The RBA said that further interest rate cuts are possible stating that members did not see this as limiting the board's scope for any action that might be appropriate at future meetings. NZDUSD was up after the RBNZ reported higher inflation expectations going forward. The central bank said expectations were for a gain of 1.32% from 1.11% seen in the first quarter. Crude Oil is down at 59.73$ due to a stronger US Dollar and the news that Saudi exports reached a 7-year high. The European Central Bank plans to increase bond purchases as a part of its €1.1 trillion program in the coming weeks. This assured the investors globally that ECB will take necessary steps to meet their monthly bond-purchase target of €60 billion. The comments made by ECB board member Benoit Coeure triggered a rally in European stock and bond markets and weakened the Euro. Coeure also hinted that ECB may push interest rates further below zero when deciding monetary policy. The ECB has to decide whether it is willing to apply haircuts on debt it will accept from Greek banks under its ELA program as it will not risk a meltdown of Greek banks. Greece is running out of time as it has just two weeks before it runs out of cash and defaults, since its next payment is due on 5th of May. Soon after the news EURUSD came under heavy selling pressure and is currently trading below 1.1100 in the Asian trading session. In UK Inflation turned negative for the first time since 1960, as per expectations of the Bank of England GBP Consumer Price Index fell to -0.1% in April. In US Housing Starts and Building Permits surged more than expected in the month of April. According to Ted Wieseman, an economist at Morgan Stanley "The strong rebound in housing starts confirmed expectations for housing to accelerate substantially in the second quarter and be a stand-out growth contributor amid otherwise sluggish indications for a pickup in GDP growth". In Japan Economy grew more than expected to 2.4% in first quarter. According to Marcel Thieliant, a Japan economist at Capital Economics "The acceleration in GDP growth last quarter was mostly due to a jump in inventories, and a range of indicators point to a slowdown in the second quarter". Crude Oil is higher in the Asian trading session at 58.81$ ahead of the EIA's weekly Crude Oil data. The Federal Open Market Committee (FOMC) minutes indicate a consensus that the weakness in Q1 growth was transitory and that some of the recent weakness in the pace of economic activity might persist. The minutes show a reduced likelihood of a June rate hike with only "a few" participants expecting conditions would justify raising the fed funds rate at that time. 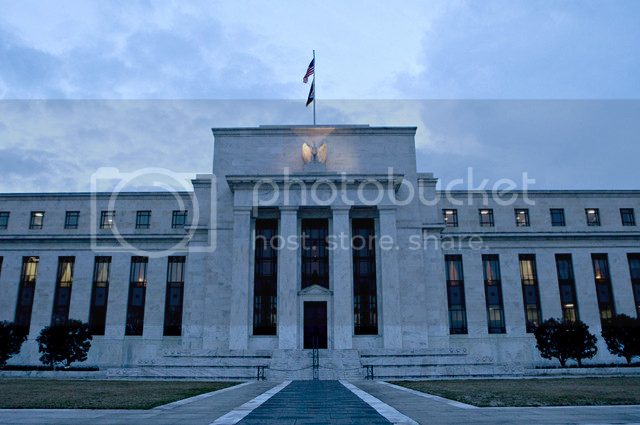 Many participants, however, thought it unlikely that the data available in June would provide sufficient confirmation that the conditions for raising the target range for the federal funds rate had been satisfied, al-though they generally did not rule out this possibility. However, most participants felt that the timing of the first increase in the target range for the federal funds rate would appropriately be determined on a meeting-by-meeting basis and would depend on the evolution of economic conditions and the outlook. In UK Bank of England minutes show consensus to maintain the benchmark interest rate at all-time low of 0.5% this month and to keep the size of the central bank's bond portfolio at 375 billion pounds. According to Bank of England "While there was a range of views over the most likely future path for bank rate, all members agreed that it was more likely than not that bank rate would rise over the three-year forecast period". In Canada wholesale sales rebounded in March which is a positive sign for Canada's economy. According to the Bank of Canada Governor- Stephen Poloz "Not only are the headwinds of the global financial crisis still blowing, but now we're also dealing with lower prices for oil and other key commodities, which previously were a key growth engine for us". Crude Oil is higher in the Asian trading session at 59.34$ as Fed suggested that a rate hike in June is unlikely. 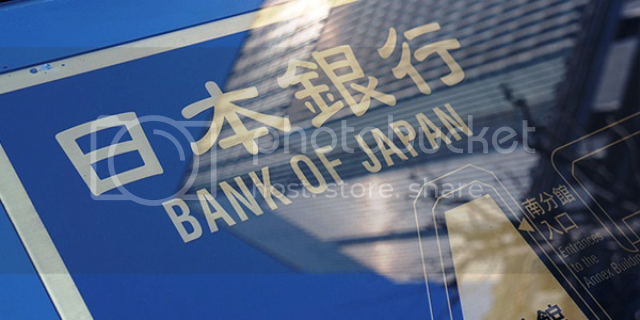 The Bank of Japan left monetary policies unchanged as its economy grew more than expected in the first quarter. Policymakers have kept the central bank's annual 80 trillion yen monetary easing programme in place after a two-day meeting. BOJ stated that "private consumption has been resilient against the background of steady improvement in the employment and income situation. The year-on-year rate of increase in the CPI is likely to be around zero percent for the time being, due to the effects of the decline in energy prices". 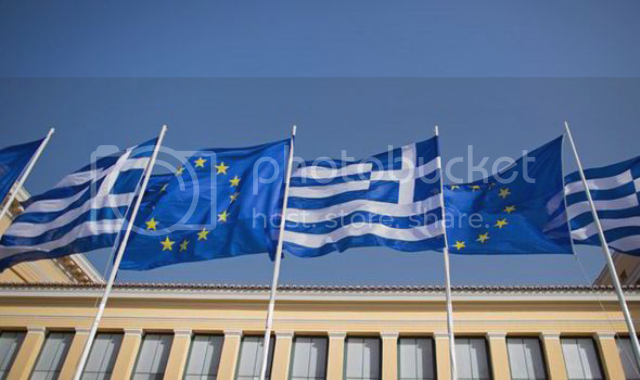 In Eurozone, the negotiations between Greece, Germany and France have ended without any signs of an agreement to release the EUR 7.2billion in financial aid to Greece. Greece’s new government is still to reach an agreement with its European creditors over its €240 billion bailout program. Rising concerns over the ability of the Greek government to repay its debts and remain in the Euro is worrying investors worldwide. In US Existing home sales fell by 3.3% to 5.04 million while market expectations were at 5.23 million. US initial claims rose by 10k to 274,000 in the week ending May 16, 2015. Germany’s GDP rose to 0.3% in line with the analyst expectations. According to the data the German's economy entered 2015 with a relaxed pace of expansion. In Euro Zone Manufacturing Activity continues to recover as services sector enjoyed a healthy expansion. ECB stated that "Overall, members agreed that emphasis needed to be placed on a steady course of monetary policy" and that the central bank's asset buying programme yielded intended results. In news coming from Greece it says that it expects to reach a deal with its creditors within 10 days and meet all its payments in June. NYMEX Crude is down in Asia to $60.65 as investors await US data on drilling activity. Greece is set to default on Debt repayment loans of €1.6billion which are due to IMF next month as it does not have the funds. If Greece is unable to repay its loans to the IMF, it would deepen the country’s economic crisis, force capital controls and foreclosure of Greek banks. Euro is under pressure as Greek debt issue remains unresolved trading at 1.0976 in the Asian trading session. Outcome of the elections in Spain also weigh down on Euro with expectations of low liquidity amid market holidays in the UK, Germany and the US. 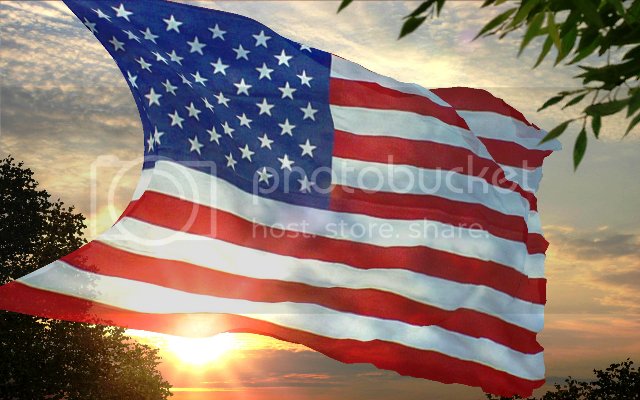 In USA Consumer Price Index rose 0.1% in the month of April, while CPI YoY rate remained negative, at -0.2% in April. The annual increase in core prices remained unchanged at 1.8%. US Core Inflation in April, excluding Food and Energy, showed the biggest gain since January 2013. Federal Reserve Chairwoman Janet Yellen said on Friday "If the economy continues to improve as I expect, I think it will be appropriate at some point this year to take the initial step to raise the federal funds rate target". Crude Oil is trading at $59.60 on account of strong US Dollar ahead of US holiday. Federal Reserve Vice Chairman Stanley Fischer said on Monday that "If the US Economy is growing very, very slowly we will wait. If the economy is growing faster we will do it quicker". Fischer said that FED expects the interest rate will reach 3.25 to 4 percent by 2017-2018. He further stated - "What we are thinking about is raising the interest rate from zero, which is an ultra-expansionary monetary policy to a quarter percent, which is an extremely expansionary monetary policy. This will be a gradual process". US Dollar continues its Bull Run as Federal Reserve keeps its door open for a Fed rate hike. Euro has dropped below 1.0900 in the Asian trading session amid fears of Greece inability to pay the IMF loan next week and the outcome of the Spanish regional elections. Meanwhile Greek debt talks have resumed and officials have expressed confidence that Greece was close to a deal with its European creditors. In Athens, government spokesman Gavriil Sakellaridis stated "We want to be consistent with our obligations and so we are striving for a deal so the economy can get some relief". The US Dollar hit an eight-year high of 122.68 against the yen as it is expected that Federal Reserve will raise interest rates later this year. Bank of Japan Governor Haruhiko Kuroda stated "The latest data point can be interpreted as confirming that underlying inflation in Japan has been improving significantly, although the firmness is currently masked by the temporary negative impact of the sharp decline in oil prices". The New Zealand dollar lost ground as its Trade Surplus shrank in April due to decline in its exports to China. New Zealand's trade surplus shrank to NZ$123 million in April while analyst expectations were at $NZ100 million. Crude Oil is trading at $59.40 after Iran's Oil Minister stated that the OPEC will maintain its monthly oil production limit. G7 Finance ministers and Central bank chiefs begin a three-day meeting in Dresden today. Greece will be discussed and markets are looking for cues from the today’s meeting. As time is running out Greece is close to a default on its next debt repayment to the International Monetary Fund. The Greek finance minister Yanis Varoufakis said ""It would be a disaster for everyone involved. It would be a disaster primarily for the Greek social economy, but it would also be the beginning of the end of the common currency project in Europe". The IMF's MD Christine Lagarde said that an extension will not be granted, even with additional economic reforms, and that no developed nation has defaulted on the IMF in 30 years. In UK retail sales growth surged in May to +51 while analyst expectations were at +17. UK Confederation of British Industry's Director said "Low inflation, which we expect to remain below 1% for the rest of the year, has given household incomes a much-needed boost and greater spending power". Bank of Japan said that risks to Inflation are on the downside and Growth is slow. According to the minutes released by BOJ "With regard to the baseline scenario for prices, many members expressed the view that there was considerable uncertainty, mainly in developments in medium- to long-term inflation expectations, and risks on the price front were skewed to the downside". FED Vice Chairman Stanley Fischer stated "The tightening of U.S. policy will begin only when the US expansion has advanced far enough - when we have seen further improvement in the labor market and when we are reasonably confident that the inflation rate will rise to our 2% goal. If foreign growth is weaker than anticipated, the consequences for the US economy could lead the Fed to remove accommodation more slowly than otherwise". Crude Oil is trading lower at $58.90 on account of strong US Dollar. European stocks, Greek bonds and Euro are moving higher as news reports from Bloomberg have indicated that Greece is close to reach a deal with its European creditors. Greek Prime Minister Alexis Tsipras said "We have made many steps. We are on the final stretch towards a positive deal. This agreement will be positive for the Greek economy, this agreement will redistribute the financial burdens and I believe that, very soon, we will be in a position to present more information". The Bank of Canada kept its rate unchanged at 0.75% as per the market expectations. BOC stated "Despite the recent back-up in global bond yields financial conditions for Canadian households and firms remain highly simulative. The Canadian dollar has strengthened in recent weeks in the context of higher oil prices and a softer U.S. dollar". In Japan's Retail Sales rose to 5% from the previous year and USDJPY hits a 13 year high of 124.30 on the backdrop of economic recovery in the US and expectations of a FED rate hike later this year. In Germany Consumers’ confidence reached the highest level since 2001. The GfK Consumer sentiment rose to 10.2 in May. Very robust domestic demand in Germany and low inflation rates have caused economic expectations and willingness to buy to further improve again. Tough negotiations on the future of Greece in the euro area, the Ukraine crisis, and IS terrorism could noticeably dampen consumption in Germany. Crude Oil is trading lower at $57.96 on account of strong US Dollar. In US the number of Americans filing for Initial Jobless benefits rose last week to 282K while analyst expectations were at 270K. US pending home sales soared to a nine-year high in April in a strong start to the prime spring season, according to the National Association of Realtors. The National Association of Realtors said its Pending Home Sales Index rose 3.4% in April to a level of 108.7 which is the highest level since May 2006. Jim O'Sullivan, US economist said "Housing is an important reason why the trend in growth looks much stronger for non-manufacturing and the overall economy, than for manufacturing now". This uptrend in home sales came after a growth in US Jobs sector, which has increased demand to buy houses. UK GDP expanded by 0.3% while analyst expectations were for a 0.4% increase. Economic growth slowed due to the service sector performing worse than expected and a widening UK trade deficit. In Japan Inflation and Industrial production increased more than expected. Japan's Industrial production increased 1.0% in April, while inflation data showed the CPI moving higher 0.2% in May. USD/JPY is steady at 13-year highs due to increased demand for US Dollar and the indications that the US economy is gaining momentum after a slowdown in the first quarter. NZDUSD fell to 0.7115 undermined by New Zealand's lac of business optimism and estimates of inflation below the central bank's target. 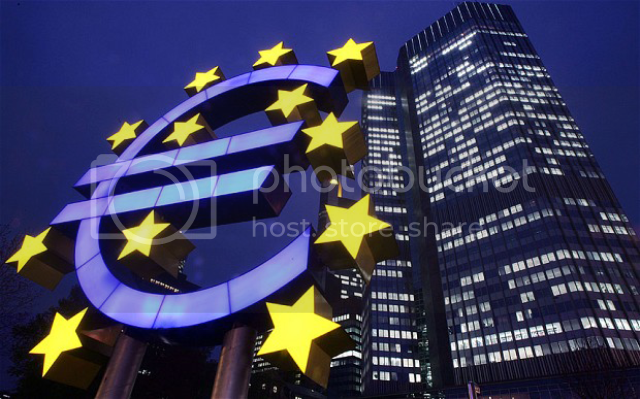 In a report, European Central Bank said that Euro Zone M3 Money Supply rose to 5.3%. It is the amount of domestic currency in circulation and deposited in banks. The Euro Zone Consumer and Business Confidence was stable in May at 103.8, overall economic sentiment was mixed across the Euro zone. While it improved in Germany, France, and the Netherlands, it dropped in Italy and Greece. Howard Archer, Chief UK and European Economist said "The fact that overall Eurozone economic sentiment held up well in May could ease concern that the Eurozone's recovery is starting to flag as the recent stimulus it has received is diluted by a recent firming in the euro, oil prices and bond yields from very low levels". Crude Oil is trading higher at $58.60 after US Crude Stockpile fell for 4th Week. Euro is trading lower against all its counterparts amid concerns that Greece will be unable to repay over €300 million due to the IMF on June 5 and a possible exit from the Eurozone. Euro recovery seems to have lost steam as concerns are rising over a possible Greek default if it is unable to reach a deal with its European creditors soon. Greek negotiations are going on as its creditors are pressing for action in areas including the pension system, labor market and sales tax. Greek Prime Minister Alexis Tsipras has said “The lack of an agreement so far is not due to the supposed intransigent, uncompromising and incomprehensible Greek stance. It is due to the insistence of certain institutional actors on submitting absurd proposals and displaying a total indifference to the recent democratic choice of the Greek people". Germany's EU Commissioner Guenter Oettinger said "We will need progress at the working group level, in order that we can agree on a reform agenda, perhaps even by the end of the week, which would trigger the payment of the last tranche of aid from the current aid program". "Greek debt yields provide only a rough guide, and although a missed deadline will not spell default, market concern remains high. It's difficult to quantify how much the currency market has factored in the possibility of Greece missing the June 5 repayment deadline" said Shinichiro Kadota, chief Japan Forex strategist at Barclays in Tokyo. China HSBC Manufacturing PMI for May came at 49.2 in line with analyst expectations. Annabel Fiddes, Economist at Markit, on the HSBC PMI, said it "signaled a further deterioration in the health of China's manufacturing sector in May." In Japan, capital spending for non-financial firms jumped 7.3% in the first quarter, while Japan manufacturing for May was steady at 50.9 as expected. Crude Oil is trading higher at $59.85 as traders await OPEC meeting in Vienna on June 5. US Institute for Supply Management (ISM) manufacturing index increased to a 3-month high in May as manufacturing activity in the US expanded at a faster pace than expected. US Manufacturing expanded in May as the PMI registered 52.8 percent, an increase of 1.3 percentage points over the April reading of 51.5 percent, indicating growth in manufacturing for the 29th consecutive month. US consumer spending remained flat in April as households cut back on purchases of luxury items and continued to increase savings. 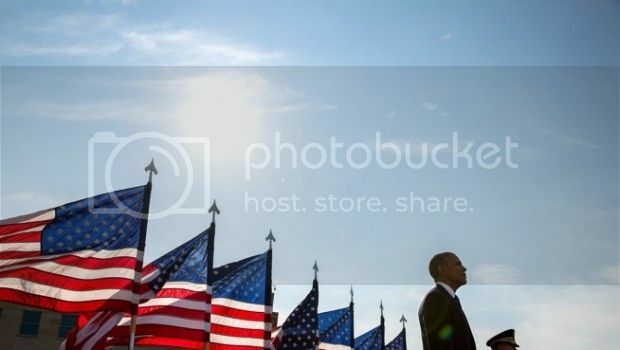 "While the US economy still looks set to rebound from the decline seen in the first quarter, the extent of the second quarter recovery therefore remains highly uncertain and could well disappoint. It therefore remains too early to take a reliable reading on the health of the economy and the data flow over the summer will be crucial in determining the timing of the first Fed rate hike." - said Chris Williamson, Chief Economist at Markit. "There are a lot of factors influencing the currency. One of those is probably tomorrow, the GDP number for the first quarter. It's probably going to be very strong," Matthew Circosta, an analyst at Moody's Analytics, told CNBC. "But moving forward, you'll see that Aussie dollar weakness coming through in the next few months, because the U.S. is going to be raising interest rates." UK manufacturing activity increased in May to 52.0 which accounts for about 10% of the UK economy. "Expectations of a broad rebound in U.K. economic growth during the second quarter of the year is called into question by these readings" – said Rob Dobson, senior economist at Markit. Greek debt negotiations continue between Greece and its European creditors. IMF chief Christine Lagarde, ECB president Mario Draghi, French president Francois Hollande and European Commission president Jean-Claude Juncker met yesterday to give out an offer for Greece to consider. Crude Oil is trading higher at $60.90 ahead of weekly US supply data. The euro surged against its major counterparts on hopes that Greece will soon reach a deal with its European creditors. EURUSD touched a two week high of 1.1195 and US Dollar plunged with Dollar index recording a 1.5% decline, the biggest decline in 24hrs since July 2013. Greek Prime Minister Alexis Tsipras is going to Brussels today to discuss his government's proposal for deal with its creditors and secure the bailout funds. European institutions and the International Monetary Fund have completed the draft of an agreement to unlock bailout aid for Greece. Greek Prime Minister Alexis Tsipras said that he has submitted his terms for a deal to European institutions and the IMF, and he is optimistic that Greece’s proposal would be accepted. Greece needs to repay IMF 1.6 billion euros this month. The first installment of 300 million euros is due Friday, with other installments due on June 12, 16 and 19. Greece is running out of cash without a deal and is close to a default. Greek Prime Minister Alexis Tsipras said "We have submitted a realistic plan for Greece to exit the crisis. We are not waiting for them to submit a proposal, Greece is submitting a plan - it is now clear that the decision on whether they want to adjust to realism... the decision rests with the political leadership of Europe." European Central Bank will announce its monetary policy and rate decision today. It will be followed by the press conference of ECB President Mario Draghi. It is expected that ECB will continue to implement its €60/month QE program. In Euro Zone Inflation is back according to a report from Eurostat, consumer prices have jumped to 0.3% in the last month while core inflation is at 0.9%, but is below the ECB's target of 2%. "Spain and Italy appear to be staging strong recoveries, benefiting in particular from impressive export performances”. - Chris Williamson, Markit's chief economist. UK Construction PMI climbed to 55.9 as the construction sector continues its recovery and growth after Prime Minister David Cameron unexpectedly won the general election with an outright majority. Australian GDP surged to 4.3%, while analyst expectations were at 4.1%. Australian economy faces pressure as domestic demand and consumption remains low, followed by slowdown in China and lower global commodity prices. Crude Oil is trading lower at $59.95 on bets for US supply gain. Greek Prime Minister Alexis Tsipras said after talking with the senior EU officials that Greece was close to a deal with its creditors and it would make a payment due to the IMF on Friday. "It was a good, constructive meeting. Progress was made in understanding each other's positions on the basis of various proposals. It was agreed that they will meet again. Intense work will continue." - Statement given by the European Commission. Greece has enough cash to repay a €300 million payment due to the IMF on Friday. German 10-year bond yields climbed to 0.887 percent, after the ECB raised its inflation forecast for the year 2015. The 10 year US Treasury yields reached at 2.3696% the highest level since Nov 2014. "The biggest positive about the bond market weakness is that yields’ going higher is a net positive for all of the financials. Higher yields on fixed income translate into higher rates and that increases the net interest margin for financials," - Michael James, MD Wedbush Securities, Los Angeles. European Central Bank kept its benchmark rates unchanged at 0.05 percent and increased its forecast for inflation in the Eurozone this year to 0.3 percent. ECB President said bond buying program of 60 billion euros per month will continue till September 2016 with an aim to inject liquidity into the financial system and drive up the Eurozone’s low rate of inflation. Draghi said "The full implementation of all our monetary policy measures will provide the necessary support to the euro area's economy." On Greek Debt deal Draghi called for a strong agreement between Greece and its Creditors saying "A strong agreement is one that produces growth, that has social fairness but that is also fiscally sustainable and addresses the remaining sources or factors of financial instability in the financial sector." In China HSBC PMI climbed to 53.5 the highest level in 8 months as growth remains sluggish in China. "Overall, growth momentum in China appears relatively weak, weighed down by an ongoing deterioration in manufacturing operating conditions" - Annabel Fiddes, economist at Markit. In UK the services PMI declined to 56.5 in May, while the UK's economy grew by 0.3% in the first quarter of the year. The UK service sector forms a large part of the economy. "Additionally, construction firms in UK experienced an upturn in new business growth from April's near two-year low and job creation was the fastest recorded so far in 2015" - Tim Moore, Markit. Crude Oil is trading lower at $59.56 after Russian Energy Minister's confirmation that the OPEC would not cut output at Friday's meeting. Greece moves closer to default and a possible exit from the Eurozone as it will not make a scheduled €300m loan repayment to IMF on Friday. IMF said on Thursday "The Greek authorities have informed the fund today that they plan to bundle the country's four June payments into one, which is now due on June 30," Gerry Rice, IMF spokesperson, said, citing rules allowing debtor countries to regroup "multiple principal payments falling due in a calendar month". It is the first time that Greece will postpone a repayment to IMF as Prime Minister Alexis Tsipras is facing opposition from his supporters on tough terms associated with the debt deal. Greek prime minister has come under pressure from his supporters to withhold the payment of €300m due to IMF on June 5. The country is running out of funds and needs the final €7.2bn bailout funds to be able to repay €1.54 billion to IMF by June 30. EURUSD pulled back yesterday after this decision from a high of 1.1365 to a low of 1.1178 in the Asian trading session today. 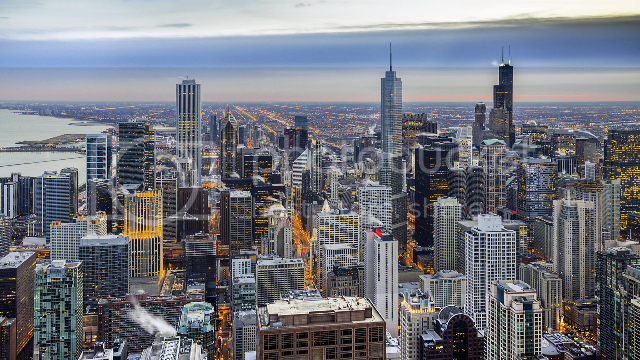 Traders are focusing on the US Non-Farm Payroll report due to be released today at 12:30 GMT. Analysts expect a growth of 227K in the job markets for the month of May. Pre-NFP data suggest a strong NFP report today. Analysts forecast for the Unemployment rate is at 5.4%, the lowest level in seven years. 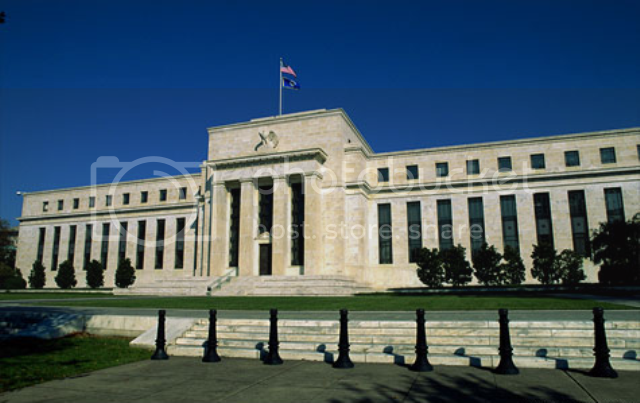 Today’s NFP report will indicate whether Fed is willing to hike interest rates in September 2015. Fed will hike interest rates this year if the NFP data picks up in May. In UK the Bank of England kept its benchmark interest rate at 0.5%, the lowest level since 2009. The decision by BoE to hold interest rates was supported by data that showed growth of the UK economy slowed down in the Q1 2015 to 0.3%. "In UK much will clearly depend on how economic growth, earnings and productivity develop over the coming months, as well as just how quickly inflation moves up later on this year" - Howard Archer, chief UK and European economist at IHS Global Insight. In Canada Ivey PMI rose to 62.3 supported by an increase in employment and inventory levels. 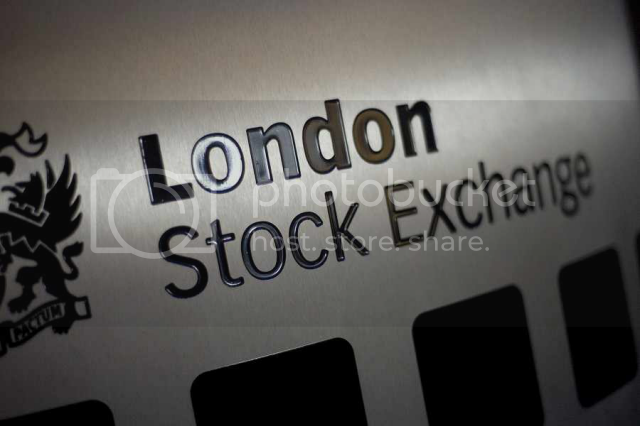 Today investors will focus on CAD Full Time Employment Change report due on 12:30 GMT. Analysts estimate that Canada's economy will add 10K jobs in May with jobless rate remaining at 6.8%. Crude Oil is trading lower at $57.85 on concerns over spiking European yields.